Added on 26 November 2018 . By Olivia Cheves. Paying homage to that late, great Dale Winton, this new cocktail masterclass at Shoreditch's London Cocktail Club is bringing the iconic aisles of Supermarket Sweep to life. 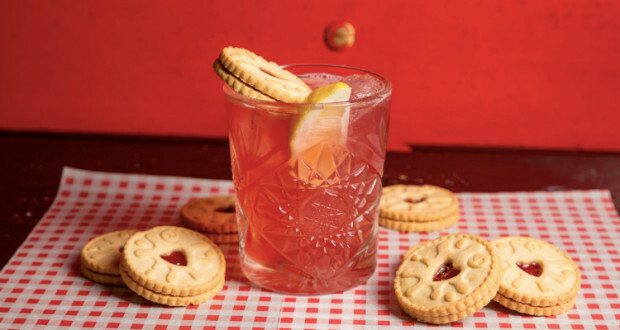 To mark the launch of his new cocktail recipe book, Kitchen Cocktails, LCC founder JJ Goodman will be stepping out from behind the bar to show us civilians how to whip up some cracking concoctions from ingredients found in your local shop. The pop-up, which runs from December through February, will be transforming the Sclater Street nightspot into a miniature supermarket where guests can don some brightly-coloured knitwear and take a dash around the shelves, grabbing everything from Cocoa Pops to Angel Delight. Whether or not the inflatable banana will grab you a tasty bonus remains to be seen, but cocktail students will certainly find themselves treated to a great mixology session and three tipples from the book's unique drinks list.